Piff! Pow! Boff! These are the type of sound effects you would expect from the superheroes of the DC Universe, but no longer will you be hearing them on Wii or Wii U. The upcoming 3 player co-op title Young Justice: Legacy has been pulled from these two platforms for a number of reasons. DC sidekick fans need not lament too much as the game is still planned for release on 360, PS3 and Steam in the next few weeks. The game has been flying under the radar in recent months, like a supersonic superman, so we are still unsure whether the 3 player co-op will be online, offline or a combination of both. 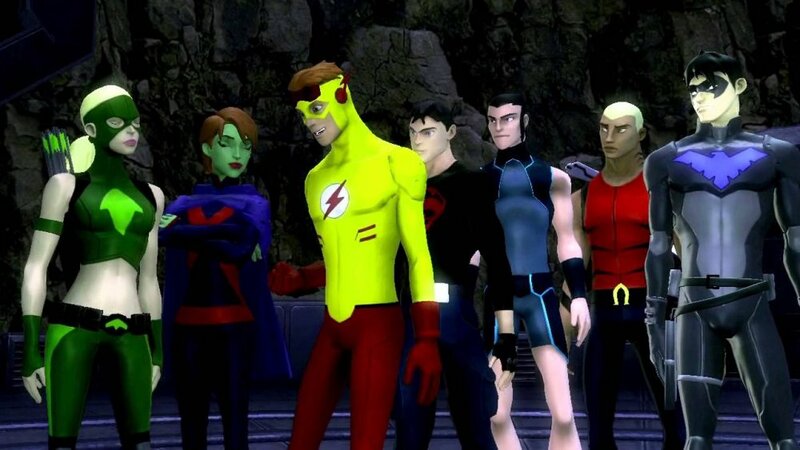 Based on several factors we've had to cancel the Wii and Wii-U versions of Young Justice: Legacy. We regret that this decision will prevent some fans from playing the game and the finding out what happens in the story. There were a number of reasons ranging from quality issues to lack of retailer support, but know that we didn't make this decision lightly. We are a fairly new company, and unfortunately both of these platforms presented challenges we couldn't overcome. We look forward to delivering the Xbox360, PS3, 3DS, and Steam versions in less than a month. It is always nice to see clear communication from a developer, even if this is admitting that there was some quality issues with the Wii and Wii U versions of the game. What is more worrisome is the apparent lack of retail support for the game coming to Wii/Wii U. Is Nintendo going down the road of being an almost first party only console? Page created in 0.8534 seconds.